Obituary, Finley, Rev. Oris Dewayne « Perry High School Alumni Association, Inc.
Services for the Rev. Oris Dewayne Finley, 72, Roff, OK, are 1 p.m. Saturday at Trinity Baptist Church, the Revs. Thomas Hatley and Steve Wilburn officiating. Burial follows at Lightning Ridge Cemetery. 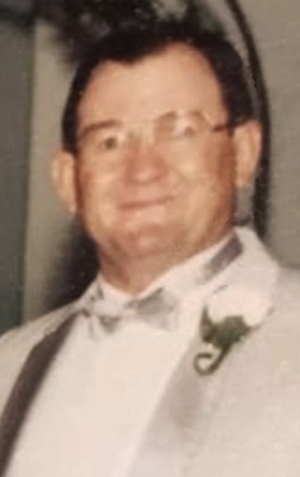 Mr. Finley died Sept. 28, 2006, at a Sallisaw hospital. He was born August 1, 1934, at Beebe, Oklahoma to Billy Floyd and Nettie Anne Layne Finley. 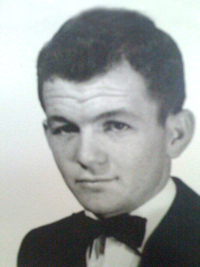 He graduated from Perry High School in 1953 and served in the U. S. Navy from 1956-1958 in the VP-48 squadron. Following military service he worked as a field agent for Sunray DX Oil Company, Victoria, Texas. He graduated from Southwestern Baptist Theological Seminary, Fort Worth, Texas in 1972. Rev. Finley was a Baptist minister and moved to Ada in 1978 to pastor at Trinity Baptist Church. He moved to Texas in 1983. He moved back to this area in 2002, to pastor at Lightning Ridge Baptist Church. He married Velma Ruth Graham June 6, 1959, at Corpus Christi, Texas. Survivors include his wife, Velma Ruth, of the home; two sons, Bill Finley and wife Robin, Cedarville, Ark., and the Rev. Mike Finley and wife Corona, Sallisaw; a daughter, DeLayne Bingamon, Ada; a brother, Billy Merrill Finley, Perry; grandchildren, Rachel Scott and husband Joe, Sarah Whitehead, all of Ada, OK, J. D. Finley and Michaela Finley, both of Cedarville, Ark. Bearers are Billy Box, Junior Arrington, Mack Summers, Shelton Curtis, George Myrick and Levi Orphan. Honorary bearers are Orval Bruster, Virgil Miller, and Bryan Taylor. The family says memorials may be made to Hanson Baptist Church Building Fund, Rt. 1, Box 78A, Sallisaw, OK 74955. Services conducted by Criswell Funeral Home, Ada, OK.
Dwayne Finley was pastor of Southern Baptist churches in Converse, Boyd, Glen Rose, Cedar Hill, TX and Atoka, Ada, Muldrow, and Roff, OK. He was a well respected pastor who loved people, his ministry, and faithfully preached the Bible as the inspired and inerrant Word of God. Finley loved humor, using it often in his ministry and personal life. You could always count on him to share the latest joke when you saw him at a Baptist convention. He continued the Preacher Boys Revivals begun by his father-in-law Rev. Harvey Graham. The Preacher Boys Revivals were intended to give young preachers the opportunity and experience of preaching. People would gather at the church and each preacher would have the opportunity to preach. Several would preach each service. Depending on how many preachers were present, they would sometimes be limited to 10 or 15 minutes each. Many preachers would return through the years. While young preachers were given the priority, they often had middle age and older preachers who would also preach in the Preacher “Boys” Revival. Velma Ruth Finley fondly remembered the Revival back in 1973 in Atoka, OK. It was preached by my brother, Evangelist Steve Brumbelow and music led by Johnny Gonzalez. It was a great week of preaching, singing, and fellowship. Steve came away with a great appreciation for Dewayne Finley’s ministry. The Finleys and Grahams were longtime friends of the Brumbelows.